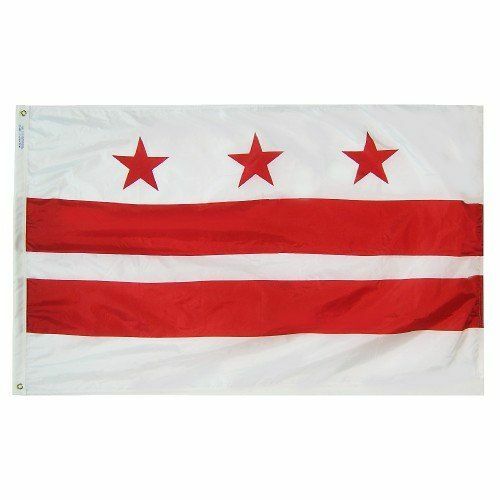 AmericanFlags.com is proud to carry District of Columbia Flags in a variety of materials, and styles, in sizes ranging from 4 IN X 6 IN to 12 FT X 18 FT. All of our District of Columbia flags meet official specifications, are on sale right now and are ready for immediate shipping to your door. 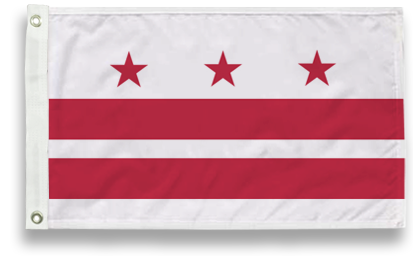 Based on the design of the Coat of Arms of George Washington's family, the flag of Washington D.C. features three red stars, called mullets, that appear above two red bars on a white background. 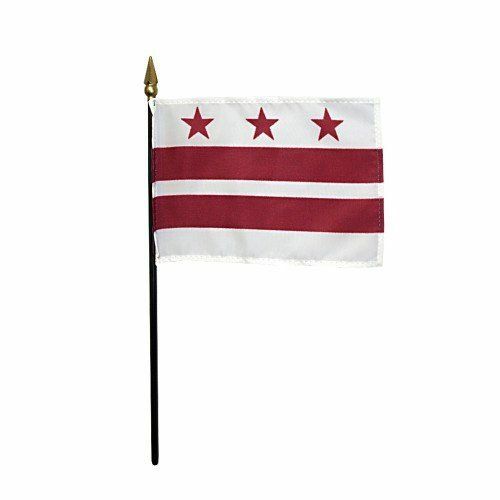 The District of Columbia was without an official flag and flew several unofficial banners, typically the flag of the D.C. National Guard, for over a century. 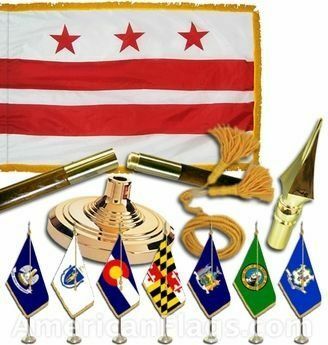 Congress established a commission in 1938 to choose an official flag and held a competition, which was open to the public and won by graphic designer Charles A.R. Dunn. 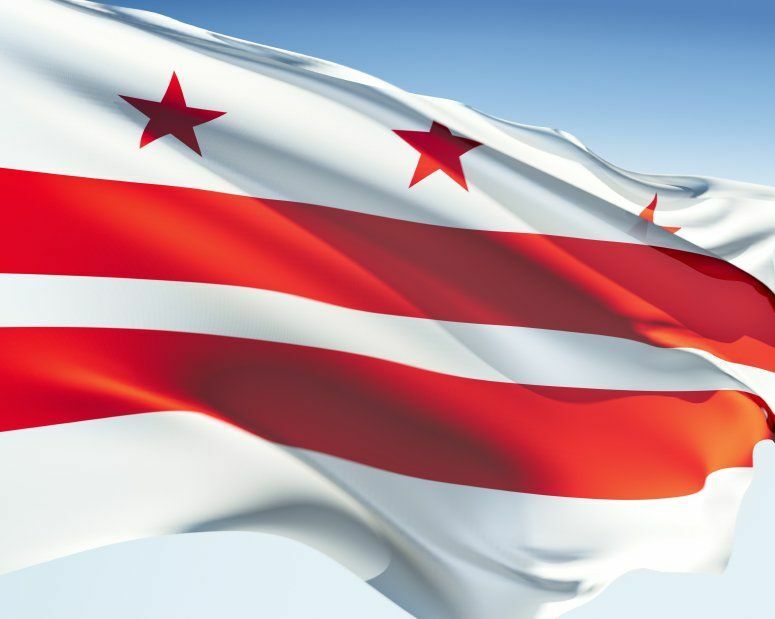 His submission was officially adopted on October 15, 1938.